Sumner Murray Redstone (born Sumner Murray Rothstein; May 27, 1923) is an American businessman and media magnate. He is the majority owner and chairman of the board of the National Amusements theater chain. Through National Amusements, Redstone and his family are majority owners of CBS Corporation and Viacom (itself the parent company of Viacom Media Networks, BET Networks, and the film studio Paramount Pictures). According to Forbes, as of September 2015, he was worth US$5 billion. Redstone was formerly the executive chairman of both CBS and Viacom. In February 2016, at the age of 92, a week after a court-ordered examination by a geriatric psychiatrist, Redstone resigned both chairmanships, replaced by Leslie Moonves at CBS and Philippe Dauman at Viacom. Redstone then became chairman emeritus. Sumner was born to a Jewish family in Boston, Massachusetts, to Belle (née Ostrovsky) and Michael Rothstein. In 1940, at Sumner’s behest his father agreed to change the family surname from “Rothstein” to “Redstone” (“Red stone” is a literal translation of the German-Jewish name, “Rothstein”).Michael Rothstein owned Northeast Theater Corporation in Dedham, Massachusetts (the forerunner of National Amusements) and the Boston branch of the Latin Quarter Nightclub. Redstone attended the Boston Latin School, from which he graduated first in his class. In 1944, he graduated from Harvard College,where he completed the studies for his baccalaureate in three years. Later, Redstone served as First Lieutenant in the United States Army during World War II with a team that decoded Japanese messages. After this military service, he worked in Washington, D.C., and attended Georgetown University Law Center. He transferred to Harvard Law School and received his law degree in 1947. After completing law school, Redstone served as special assistant to U.S. Attorney General Tom C. Clark (who later served as Associate Justice of the Supreme Court of the United States from 1949 to 1967) and then worked for the United States Department of Justice Tax Division in Washington, D.C. and San Francisco, and thereafter entered private practice. In 1954, he joined his father’s theater chain, National Amusements and in 1967, he became CEO of the company. As the company grew, Redstone came to believe that content would become more important than distribution mechanisms: channels of distribution (in varied forms) would always exist, but content would always be essential (Redstone coined the phrase, “Content is king!”). He invested in Columbia Pictures, Twentieth Century Fox, Orion Pictures, and Paramount Pictures (Redstone’s Viacom would buy Paramount in the 1990s), all of which turned over huge profits when he chose to sell their stock in the early 1980s. In 1979, he suffered severe burns in a fire at the Copley Plaza hotel, in Boston, but survived after thirty hours of extensive surgery at Massachusetts General Hospital. 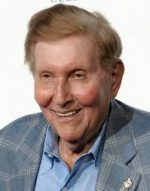 Though he was warned that he might never be able to live a normal life, eight years later he was fit enough to insist on playing tennis nearly every day and to launch a hostile takeover of Viacom.Redstone has discussed the story of surviving the fire as a reflection of his strong determination and will to live. Sumner Redstone has contributed over $150 million to various philanthropic causes. In April 2007, Sumner M. Redstone announced a commitment of $105 million in charitable grants to fund research and patient care advancements in cancer and burn recovery at three major non-profit healthcare organizations. The cash contributions of $35 million each will be paid out over five years to FasterCures/The Center for Accelerating Medical Solutions, based in Washington, D.C.; the Cedars-Sinai Prostate Cancer Center in Los Angeles, California; and the Massachusetts General Hospital in Boston, Massachusetts. Over the last few years, Redstone has contributed $1.5 million to the Global Poverty Project. He has given millions of dollars to the Cambodian Children’s Fund, a nonprofit program that provides a wide range of critical health and educational services to impoverished and abused children in the capital city of Phnom Penh. Redstone’s contribution will be used to create the Sumner M. Redstone Child Rescue Center, a stand-alone facility scheduled to open during the fall of 2007 for children 5 to 16. In early 2010, Redstone pledged a $1 million gift to Autism Speaks in support of scientific research into the causes of autism and effective treatments. Redstone had given financial support to Autism Speaks previously.In 2011, Redstone gave an additional $500,000 to the group in support of its Translational Research Initiative, bringing his cumulative lifetime contribution to Autism Speaks to $1.7 million. In July 2010, Redstone donated $24 million to the Keck School of Medicine of the University of Southern California to support cancer research. In September 2012, Redstone donated $18 million to the Boston University School of Law. The gift funded, in part, the construction of the five-story Sumner M. Redstone Building, a classroom building which opened in 2014. Since October 2012, Redstone has donated a total of $350,000 to the Go Campaign, which funds projects in 21 countries with a focus on helping orphans and other needy children. In May 2013, the Sumner M. Redstone Charitable Foundation donated $1 million to Literacy Inc., a New York City-based nonprofit literacy organization. In January 2014, it was announced that the Sumner M. Redstone Charitable Foundation had donated $10 million to Harvard Law School for public-interest fellowships, the largest charitable contribution ever made to the law school in support of public service. The money supports students who work in public-interest positions after graduation.